﻿ Jujubee S.A. - Games Developer and Publisher. iOS | Android | WP | PC | Mac | Linux | PS4 | Xbox One - Report from Digital Dragons and Pixel Heaven 2017! 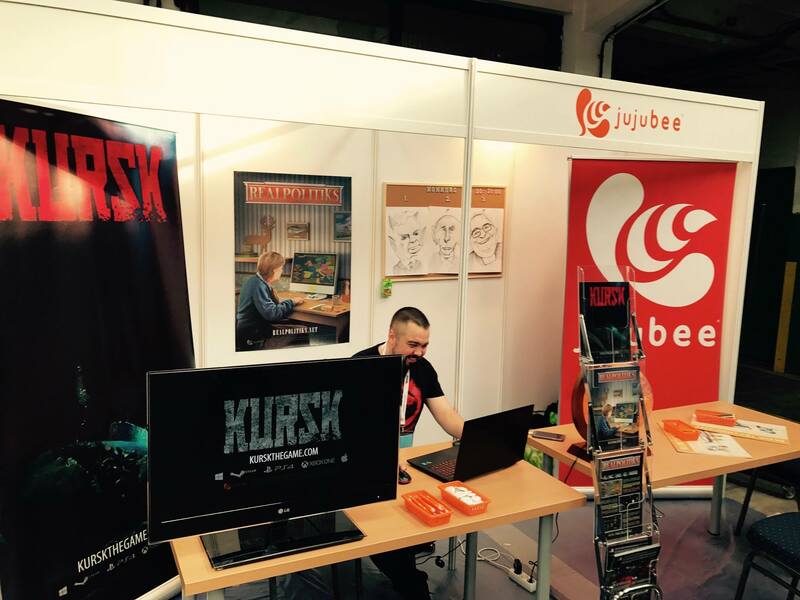 In the last week of May 2017, Jujubee attended two gaming conferences in Poland: Digital Dragons in Krakow and Pixel Heaven in Warsaw. Both events were an excellent opportunity to present the status of the projects the company is currently working on and to meet with other gamers and friends from the industry. This time the Digital Dragons conference was held in an entirely different venue, namely the ICE Krakow Congress Centre. Developers and gaming media met to network and share knowhow and experience across the two floors of the event. The new location allowed not only the scale of the event to be increased and more speakers to be invited, but also allowed exhibitor and independent developer zones to be built quicker. However, it lost the informal character that we remember from previous editions. 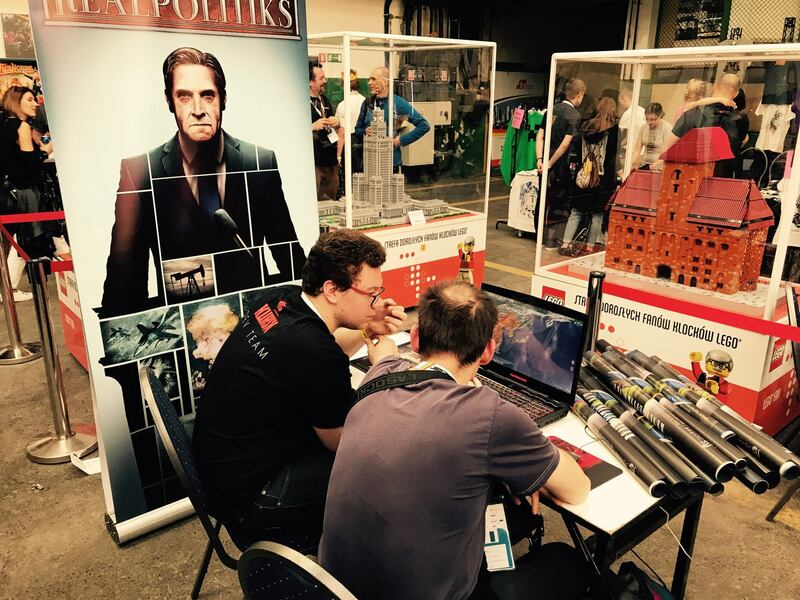 Our stand was fairly popular, especially because of the mobile version of our latest game, Realpolitiks, and also because of the interest in our progress on KURSK, an adventure/documentary game. We certainly consider our attendance a major success, mostly because of the fact that, thanks to the numerous new acquaintances and our many conversations with the press and potential partners, we have managed to fill a few more pages of our business card holder. Digital Dragons couldn’t do without an official and very flashy Polish game developer award ceremony. This time the possibilities offered by the new venue made for an even grander and better organized ceremony, as big names announced the winners in the different categories. Traditionally, the ceremony was followed by a much more informal part of the conference, namely the afterparty where the entire Polish game development community partied with friends until dawn. Two days later, after a brief recovery, we attended another conference. This was the first time Jujubee had attended Pixel Heaven in Warsaw, the legendary event for fans of retro games and old computers. Apart from presenting our accomplishments and meeting people at our stand, we had the opportunity to publicly showcase Realpolitiks as one of the 20 titles selected for the final round of the Pixel Awards! Our stand and the game were very popular, which really put us in a good mood. 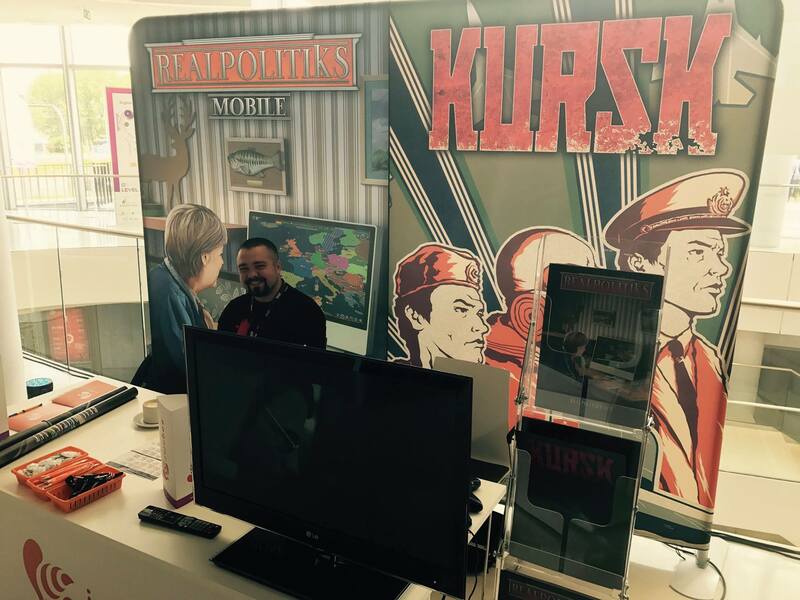 Interestingly, many random visitors heard and asked about our development of KURSK. This reassured us that the production and promotion efforts were working and that the game is becoming more and more popular with gamers. 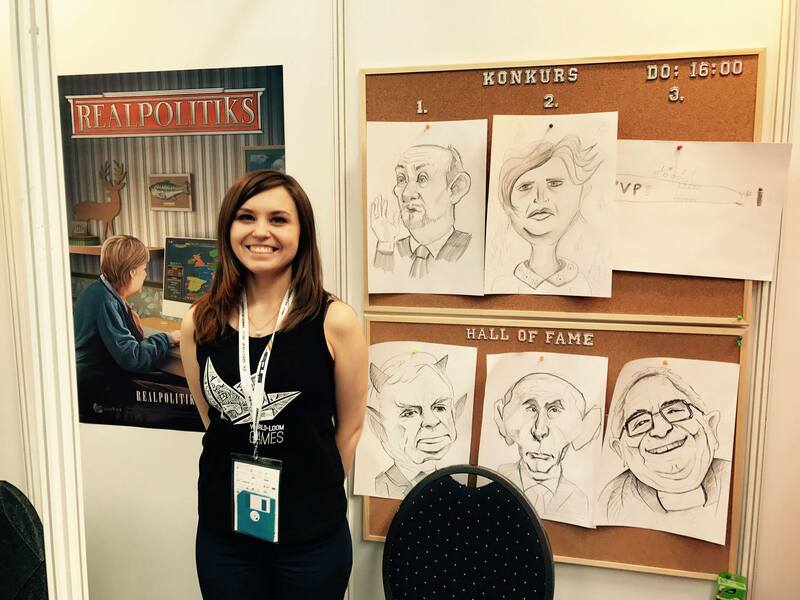 One of the surprises we prepared for Pixel Heaven was a competition in which contestants were asked to draw a caricature of their favorite politician. We were surprised by the high quality of the entries and their popularity with visitors. The winners were exceptionally pleased with the attractive awards and we got excellent art to hang in our Hall of Fame throughout the event. Pixel Heaven is not only about company presentations and contests. It’s a true paradise for fans of the foregone era of 8- and 16-bit video games and arcade machines. The number of exhibited computers and consoles, dating back even a few decades, was so astounding that we didn’t manage to see and try everything. 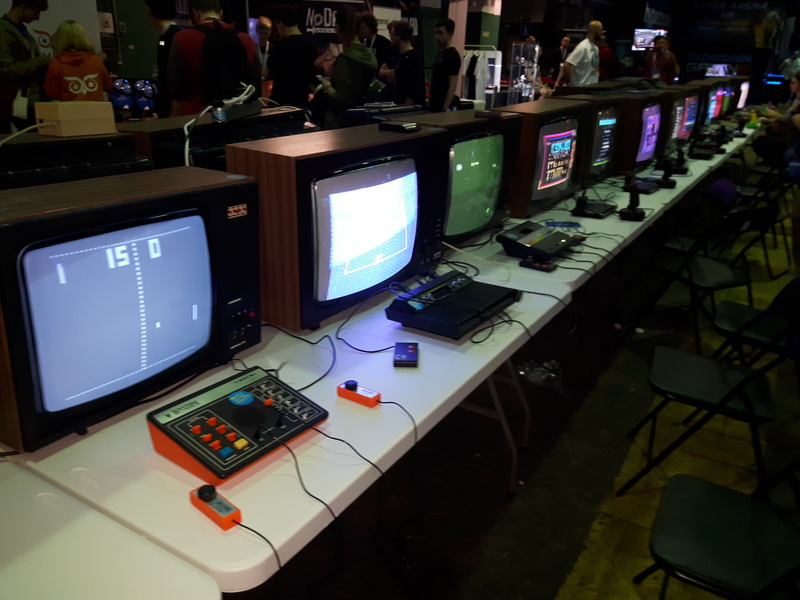 The legendary Amigas, Ataris, Nintendo consoles, and even old pinball machines filled the Bus Terminal hall to the brim, leaving every single visitor enchanted. We had the opportunity to briefly return to the good old days and play the classics that contemporary computer games are based on. This was also an opportunity to get our hands on unique copies of iconic comic books and various interesting gadgets, listen to very interesting talks, and see extraordinary Lego structures. The event and its unique character put us in a blissful mood and for a moment sent us in a time machine back to our childhoods. Unfortunately, it was only a brief stay, as Pixel Heaven come to an end and we packed our bags and returned home. Both conferences were not only about developers working hard, making deals with publishers, and doing endless interviews. It was also an excellent opportunity to share knowhow, meet interesting people, and visit a world that is so different from everyday reality. We had the opportunity to tighten our bonds and put some wind in our sails to venture onward in the direction we chose as a games developer that wants to be successful in the industry.